Need to eat any healthy breakfast at morning? Grab this. 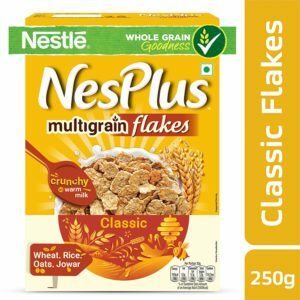 Amazon is selling Nestlé NesPlus Breakfast Cereal, Multigrain Flakes – Classic, 250g Carton at Rs 45. Hurry up!!. How to buy Nestlé NesPlus Breakfast Cereal, Multigrain Flakes – Classic, 250g Carton at Rs 45?